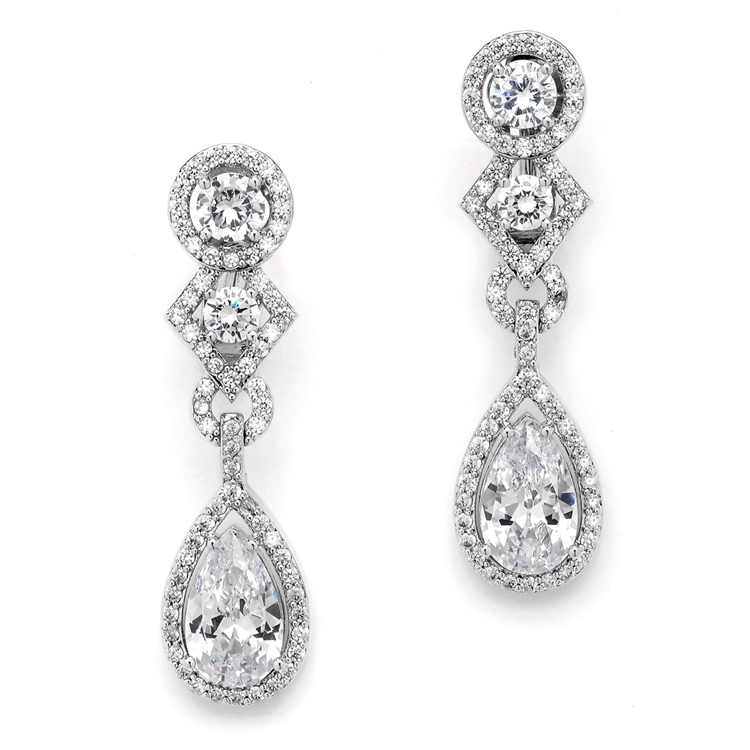 Mariell's top-selling wholesale linear multi-shape earrings feature a bold CZ pear drop in classic art deco styling. These stylish vintage earrings are great for weddings and special occasions. These sophisticated wholesale earrings feature a genuine Cubic Zirconia pear drop and inlaid stones. These stylish drop earrings are great for weddings, special occasions, black tie affairs or a night on the town. They are rhodium plated and measure 1 3/4" h.